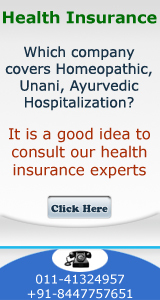 Treatment of illness at home by consulting doctor in your locality or even in a hospital is not covered. This means Cold, Cough, Flu, Viral fever, Malaria, TB etc. are not covered as these are generally treated at home. If viral fever touches 104 degrees F and patient has to be admitted into a hospital (for more than 24 hours) then this will be covered and payment will be made by the Insurance company. A person meets with an accident and has leg fracture. He is taken to the clinic of an orthopedic surgeon. Patient goes home and is in bed for 21 days. 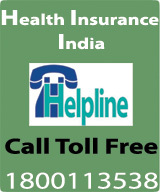 In this case the conditions of the health insurance policy are not covered and nothing is payable. The recent guidelines issued by Oriental Insurance are that this amount is payable . It is a welcome decision in favors of insured. All diseases /injuries which are pre-existing when the cover incepts for the first time. For the purpose of applying this condition the date of inception of the entire Mediclaim Policy taken from any of the Indian Insurance Companies shall be taken provided the renewal have been continuous and without any break. Any disease other than those stated in the in clause 4.3 contracted by the Insured Person during the first 30 days from the commencement date of the Policy. This exclusion shall not however, apply in the opinion of Panel of Medical Practitioners constituted by the Company for the purpose, the Insured person could not hav known of the existence of the Disease or any symptoms or complaints thereof at the timer of making the proposal for insurance to the Company. This condition 4.2 shall not however apply to in case of the insured person having been covered under this schem with any of the Indian Insurance Companies for a continuous period of preceding 12 months without any break. And related disorders are not payable. If these diseases are pre-existing at the time of proposal they will not be covered even during subsequent period of renewal too. Injury or Disease directly or indirectly caused by or arising from or attributable to War, Invasion, Act of Foreign Enemy, Warlike operation (whether war be declared or not). Convalescence, general debility 'Run-down' condition or test cure, congenital external disease or defects or anomalies, sternity, venereal disease, intentional self injury and use of intoxicating drugs/alcohol. All expenses arising out of any condition directly or indirectly caused to or associated with Human T-Cell Lymphotropic Virus type III (IITLB-III) or Lymphadinopathy Associated Virus (LAV) or theMutants Derivative or Variations Deficiency Syndrome or any Syndrome or condition of a similar kind commonly referred to as AIDS. Charges incurred at Hospital or Nursing Home primarily for diagnostic, X-ray or laboratory examinations not consistent with or incidental to the diagnosis and treatment of the positive existence or presence of any ailment, sickness or injury, for which confinement is required at a Hospital/Nursing Home.